The newly elected director-general of World Health Organization (WHO), Tedros Ghebreyesus has emphasised on the health impacts of climate and environmental change, while outlining his agenda in his first address since election. Tedros was addressing a gathering of WHO staff in Geneva. While keeping universal health coverage at the centre of his agenda, he listed out three priorities: Health emergencies; women’s, children’s and adolescents’ health; health impacts of climate and environmental change. On the recent controversy over travel expenditure in the WHO, its director-general said, “I am reviewing the situation thoroughly and will ensure that our resources are used efficiently. We have to be good stewards of our resources.” Recently, international media had reported WHO spent about US $200m in 2015 and 2016 on travel, a figure that far exceeds its public health problems such as AIDS. Apart from this, Tedros pointed out some problem areas, which he planned to improve. He said that there is a need to radically overhaul and harmonise WHO’s business model and resource mobilisation. Some other issues he planned to improve upon include, emphasis on country level work and strengthening country offices of the WHO. 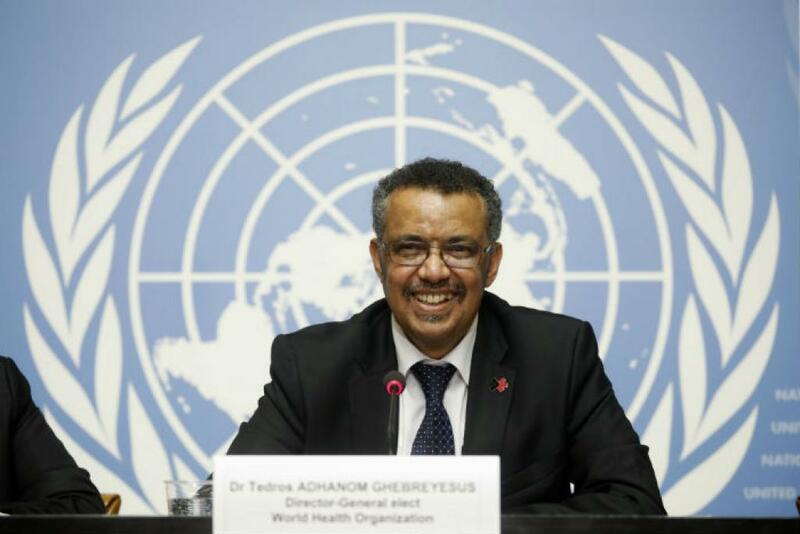 Tedros is the first African to bag that position in the history of the WHO. He is credited with a comprehensive reform effort of Ethiopia's health system, including the expansion of Ethiopia’s health infrastructure, creating 3,500 health centres and 16,000 health posts. having a grate emphasis on climate change is the most needed question for today to answer question of future generation sustainability,as to me this is the vital things we took on today.